Dr. Weintraub received an A.B. degree from Columbia College in 1961, an M.D. degree from Columbia College of Physicians and Surgeons in 1965, and a J.D. from Hofstra University in 2000. He is currently a special professor of law at the Maurice A. Deane School of Law at Hofstra University and an assistant professor of ophthalmology, Hofstra North Shore-LIJ School of Medicine. With a background in both law and medicine to provide a unique perspective, Dr. Weintraub teaches health law courses focusing on managed care, the doctor-patient relationship, Medicare and Medicaid. He was founding co-director of the Hofstra Institute for Health Law and Policy and is a member of the Health Law Section of the New York State Bar Association and of its Committee on Ethical Issues in the Provision of Health Care. Now retired from patient care after over 30 years in the practice of ophthalmology on Long Island, he continues to be active in the instruction of medical interns and residents. He has authored numerous articles on glaucoma, ocular inflammation and myopia. 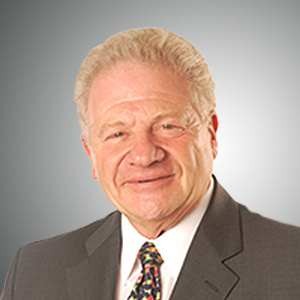 A past president of the Long Island Ophthalmological Society and past chair of the Section of Ophthalmology of the Nassau Academy of Medicine, he had also served as director of ophthalmology and member of the board of trustees of Mercy Medical Center and was the founding member and president of Long Island Ophthalmic Surgery Consultants. From 1994 until 2000 he served as president of the Myopia International Research Foundation. He is a Fellow of the American College of Surgeons and a life member of the Medical Society of the State of New York and of the Nassau County Medical Society.